Trying to find a good domain name? 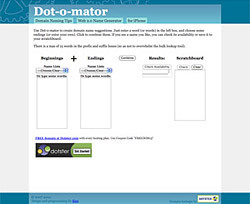 Dot-o-mator creates names by combining words. Use the pre-defined word lists (or enter your own words), then check to see which names are available. 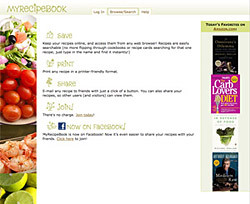 Save your recipes online, and share them with friends.